This is an exciting time for healthcare management. Healthcare is changing more rapidly than almost any other field. The field is changing in terms of how and where care is delivered, who is providing those services, and how that care is financed. Healthcare management requires talented people to manage the changes taking place. Computer management of medical records is one of the hottest fields for employment in the 21st century. There will be two jobs for every qualified person in this field. The Affordable Care Act has increased the accountability of healthcare providers by required reporting of outcome based measures linking reimbursement to performance. This has increased the need for people educated in the areas of data collection and analysis. (www.medicare.gov). The HITECH (Health Information Technology for Economic and Clinical Health Act) stipulated that, beginning in 2011, healthcare providers would be offered financial incentives for demonstrating "meaningful use" of EHR (electronic Health Records) until 2015, after which time penalties may be levied for failing to demonstrate such use. To be successful in this career path, one must possess an integrated skillset of healthcare delivery, business management, and information systems. 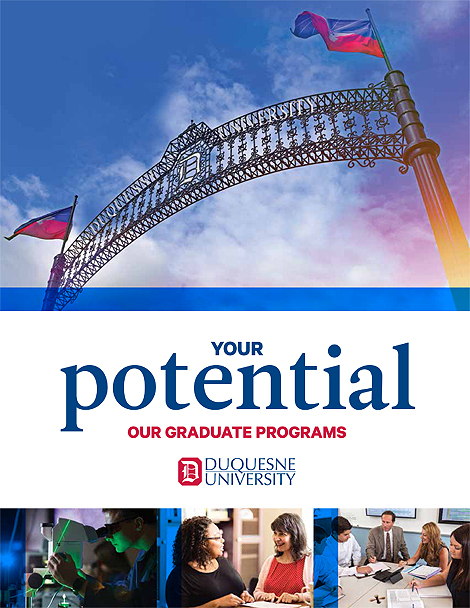 Duquesne's Masters in Health Management Systems is uniquely positioned to provide state-of-the-art training and education in each area. Students in the HMS program differentiate themselves from students from similar programs through: Gaining an integrated skillset, hands-on learning opportunities, and access to the region's many health systems and companies in the healthcare industry. Our graduates are prepared to understand trends and articulate solutions in the evolving healthcare market. They possess a unique blend of skills in health sciences, business management, and information systems. Health sciences knowledge enables effective communication with other medical professionals and in understanding the patient perspective. The combination of health sciences, business management, and information systems allows our graduates to meet the future healthcare challenges. Students may also pursue a dual MBA/Health Management Systems degree to develop further expertise. Additionally, students have the opportunity to pursue hands-on projects and internships with a wide variety of area organizations. These experiences often lead to career advancement for those currently in the industry or to new employment opportunities for students not in a related job. The career outcomes for students in the Health Management Systems program are outstanding! Students are successful in a wide variety of roles within the industry, both locally and throughout the United States.